Whatnot Enterprises, LLC, 9781732547407, 256pp. WHAT HAPPENED IN VIETNAM DIDN'T STAY IN VIETNAM. IT CAME HOME WITH US Silent Spring - Deadly Autumn of the Vietnam War is both a memoir and an investigative journey into all the complications the U.S. government hasn't told you about the Vietnam War. 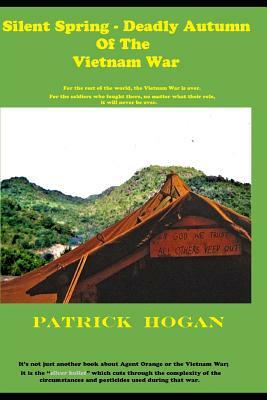 It's not just another book about Vietnam or Agent Orange. Rather it's a "silver bullet" which cuts through to the heart of the circumstances and pesticides used during that war-highly toxic herbicides and insecticides, which in some cases are still being used to this very day all over the globe, even right here in the USA.So, forget everything you've heard from our government and everything that you think you know about the Vietnam War because this book is much more than a memoir of one Vietnam veteran's struggles over the decades following the war. It's a story of all the veterans who served in Vietnam and their children. And it could even be the story of you and your children, too. As you read through the book and its volumes of information, you will be absolutely stunned at what the US government had willingly dumped on Vietnam and its own troops.